Starting a small business can be a thrilling experience. There are, however, several factors you will need to consider before your business gets underway. Whether you are trying to start a small business with no money or with lots of capital, whether you want to start a food business, a home based business, or any thing else, and whether you want to launch a small business in Florida, Californian, Texas, Michigan, or in countries other than the U.S, like Canada, India or anywhere else for that matter, you will have to take some universal steps to start a small business. This factor is important because it is what moves your initial idea into a business concept. It will enable you think through the entire business process, from inception to product or service provision. It is important to think clearly about whether your idea is ready to become a business. Next, find out if your business idea has the potential to become a profitable business and what adjustments you will have to make to get it right. Note that the key to a successful business is its ability to solve an existing problem, to creatively meet a need or to innovatively develop a product that the market requires. Through carrying out focus group assessments, product research or even trial and error, you will be able to determine what the existing gaps in the market place are. Is your product or service needed in the current market? Are there products or services currently in existence that are currently meeting this need? How will you fit into the existing market? In order to make your business idea a reality, you will have to sit down and make a plan. In instances where you intend to get the services of a financier, then the plan will have to be in a formal written format. A business plan is important as it helps to clarify what you aim to achieve and how you will implement it. 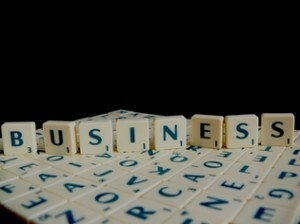 Your business plan should include the aim of your business, its mission and strategies to achieving this aim. Although starting a small business may not require large sums of investment, depending on the business idea you are pursuing, there will be some business startup costs. you will be required to find some initial funding for it. Bootstrapping, where you use as little capital as is necessary to start your business can be an option where you do not want to get entangled in debt even before you start your business. The business structure you adopt will determine several things, from how to pay your taxes, your level of liability and even your business name. You may opt to be a sole proprietor, a member of a partnership, a corporation or limited liability company. Learn more about choosing the right business structure on SBA.gov. It is possible to choose an initial business structure then find a more suitable one as the business expands. The name of your business plays a very important par in your interactions with your clients and other business partners. Consider all the potential implications before you decide upon a name. The next step will be to find out if the name is available and if so, register it at the State or County clerk. It would also be important to get a domain name for your business, as soon as your name is registered. Depending on the business you want to venture into, you will be required to apply for a few permits and licenses. Find out about which licenses your business needs. Your business will require a place of operation. This could be an office within your home, a retail location or a corner hived off from the rest of your garage. Consider its location, the equipment you will require to move into it, its overall setup and the convenience for the type of business you are venturing into. This is one of the most important systems for your business. It is essential for creating and managing your budget, for setting up your rates, for interacting with other businesses and for filing your taxes. You can either do your own accounting system or hire an accountant to do it for you. The best way for potential clients and customers to know your business exists is through your promoting it. Begin with the most simplistic of approaches such as writing a unique selling proposition and creating a marketing plan. Explore as many marketing options available to small businesses as you possibly can to effectively promote your business. Once you have initiated and completed these business start-up activities, you will have all of the most important small business issues dealt with, and you will be ready to start your own small business.